We have built a new road down the side of a stone-run, next to Argentine positions from 1982, to reduce our off-road journey time and to add to the comfort of our guests. Stone-runs (rivers of rock) are just one of many interesting geological features in the Falklands, they are at least 130,000 years old. 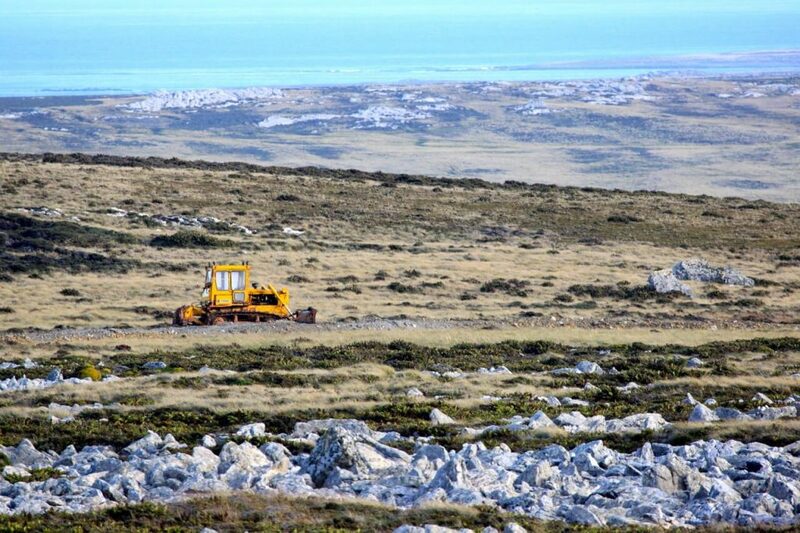 It is believed that the Falkland Islands are a lost fragment of Africa. The fossils found by Darwin, during his visit to the Islands in 1833, matched fossils found in South Africa.